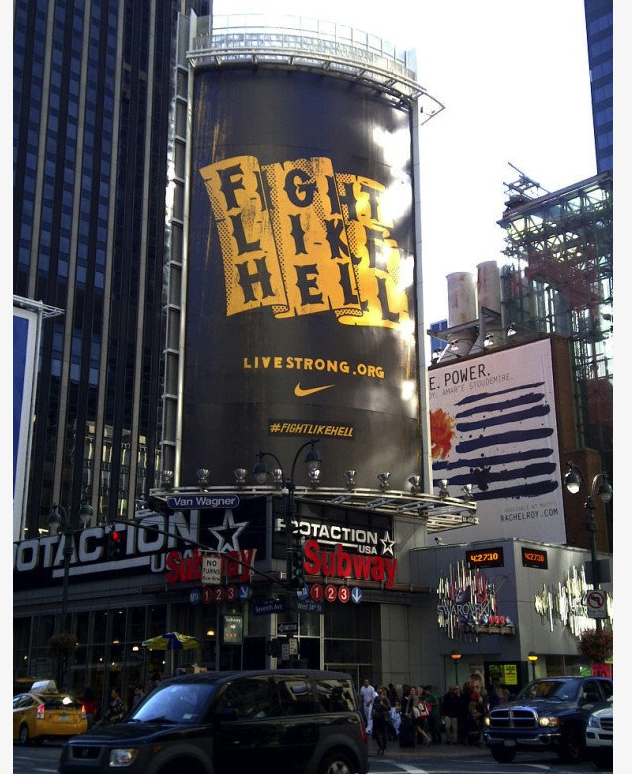 Thanks to everyone who came out for the Livestrong Fight Like Hell run last night. For those of you who wanted to come but weren't able to get to Midtown, this will give you an idea of what it was like. At around 6 pm, a large crowd of runners gathered at the Niketown store on 57th street. The runners, mostly from New York Road Runners Clubs, signed in and received a special Fight Like Hell t-shirt (like the one Dhani Jones is wearing above) to wear during the run. 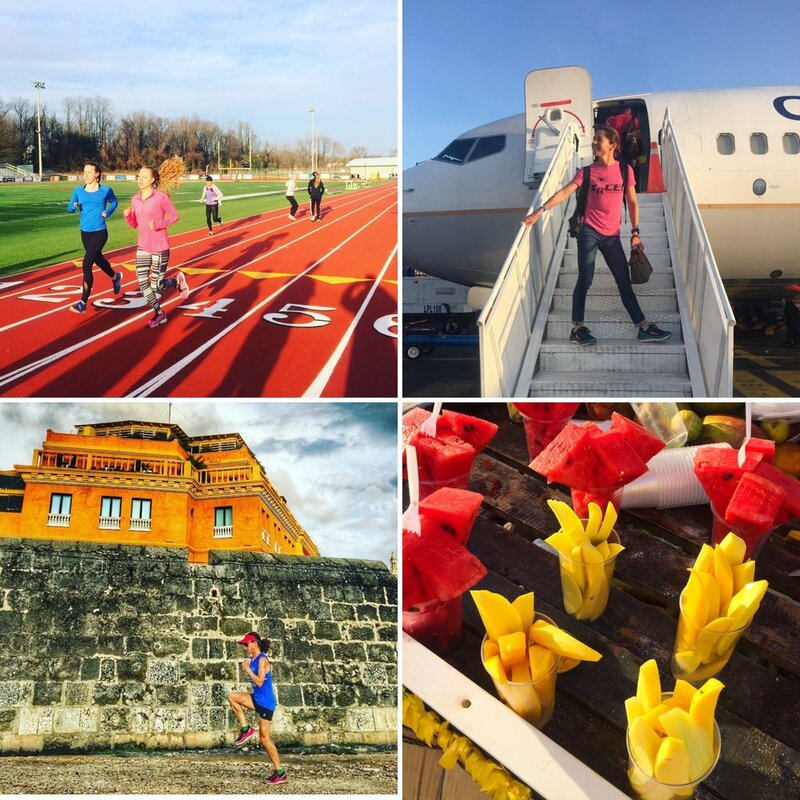 Meanwhile, Laurel and Bec were upstairs in a Nike office, changing into the latest Livestrong gear and prepping for the event. When Lance arrived, at around 7pm, everyone gathered around the store lobby to listen to his welcome speech and pep talk. Then, within seconds, Lance dashed out to the streets, followed by the large crowd of runners, some carrying large Fight Like Hell flags. From the first step the pace was FAST. Luckily for Laurel & Bec, who had just driven from Syracuse after racing the half ironman, there was a stop at Columbus Circle to regroup and pick up another large group of runners & twitter followers.